We believe that consistency is the key element of every successful endeavor. Whether it be establishing new habits, working on mission critical objectives or sticking to a rehabilitation plan. Find out more about how Goalify Professional's features can help you. 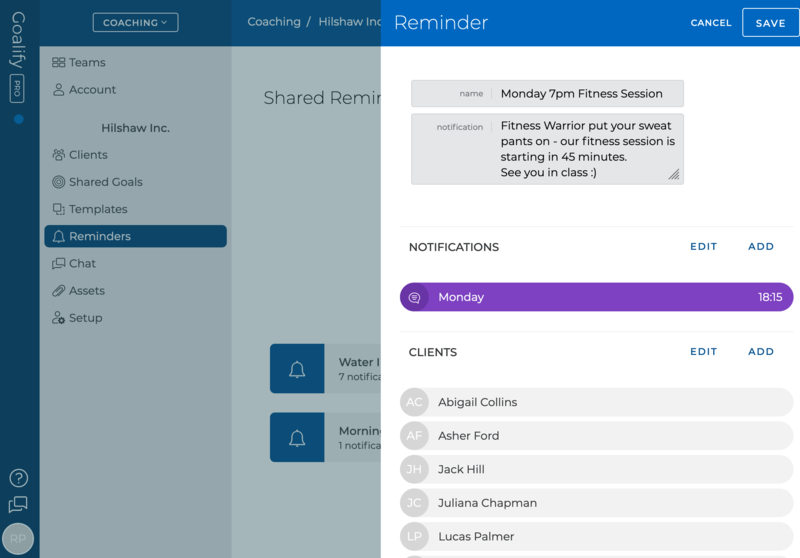 Easily add clients and start coaching within minutes. It’s as simple as scanning a QR code. Create objectives and tasks using our flexible framework. Set up simple daily tasks or detailed monthly training plans. Gain essential insights into the progress of your clients. Clever KPIs and beautiful graphs let you provide help where it’s most needed. Zero-hassle administration to keep you focused on your work. Add additional staff to manage any number of clients. Give praise, explain a task, keep everyone aligned. Use the integrated chat to connect instantly without having to switch applications. Provide detailed instructions, pictures and video with every task or objective. Empower clients with insights and knowledge to fuel their path to success. With Goalify Professional it is very easy to set up objectives or tasks, which you then assign to a single person or group. 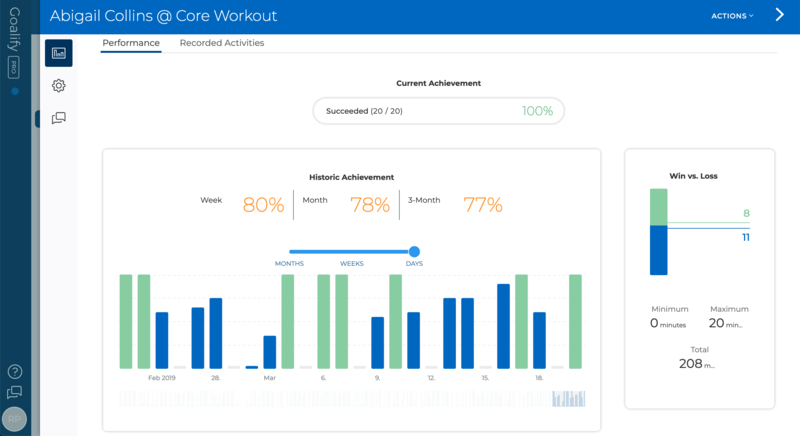 Everyone keeps track of their individual performance and progress using our web access or mobile app. With updates in real time and our smart analytic features you will be able to provide timely support. Create new goal wizard for coaches. Recording dashboard for clients (web access). Single goal dashboard viewed by a coach. Ad-hoc analysis; quickly gain an overview of all or a segment of your clients. Quickly create beautifully formatted instructions, upload images, and link videos from YouTube or Vimeo. Organize all your content however you like and link it to objectives. Clients can view the linked content right from within the Goalify mobile app. Our challenge feature helps you to organize everyone around a common objective. You can even choose to provide a real time scoreboard. Its functional, its fun and its easy to use. Quickly add automated reminders to help your clients stay organized. Reminders are sent as push notifications to a client's phone to increase consistency.